Malaysia is the only country outside of Japan to introduce the Sport Hybrid i-DCD line-up. 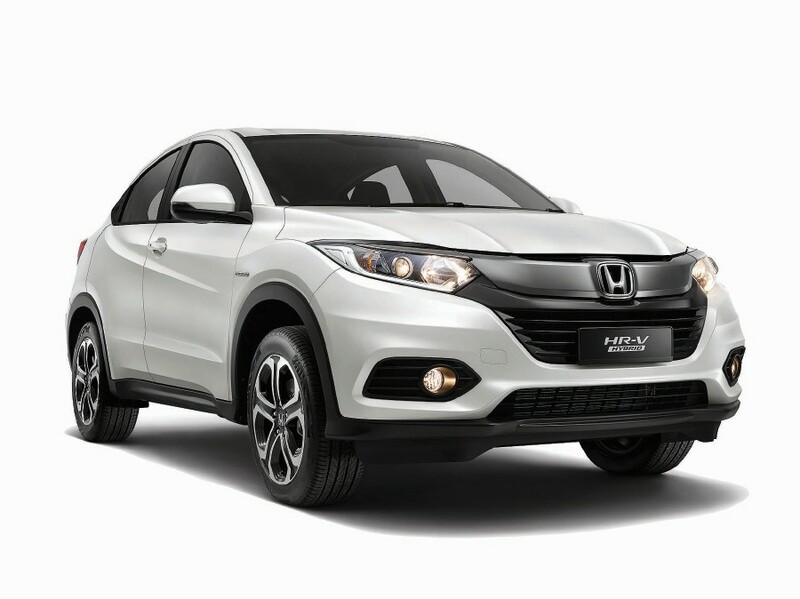 HONDA Malaysia Sdn Bhd has launched the new HR-V with a starting price of RM108,800 excluding insurance. The company is offering four variants — the HR-V Sport Hybrid, RS, V and E. The HR-V Sport Hybrid created another milestone for Honda in Malaysia as the only country outside Japan to introduce the intelligent dual-clutch drive (i-DCD) hybrid system in the compact sports utility vehicle (SUV). Honda Malaysia has set a monthly sales target for the New HR-V Petrol variant at 1,000 units while sales target for the New HR-V Sport Hybrid is 100 units. It has received more than 4,600 bookings for the new HR-V. The first HR-V was introduced in 2015 and Honda sold more than 72,300 units until the end of last year. It captured an average of 81 per cent market share in the compact SUV segment since its launch. “The compact SUV market in Malaysia has been growing over the last three years, with HR-V being the main contributor towards that growth. HR-V emerged as the top three contributors for Honda Malaysia with an average contribution of 20 per cent towards the overall sales. For that, I would like to thank Malaysians for their continuous support in making this possible,” said managing director and chief executive officer Toichi Ishiyama. The new HR-V Sport Hybrid i-DCD is powered by a 1.5L DOHC i-VTEC engine with Direct Injection mated to a 7-Speed Dual-Clutch Transmission and Integrated High Power Motor. The combined output of the engine and motor assisted by the High-Power Lithium-Ion Battery provides Hybrid power that is equal to a 2.0L engine with quick response and an exhilarating drive. 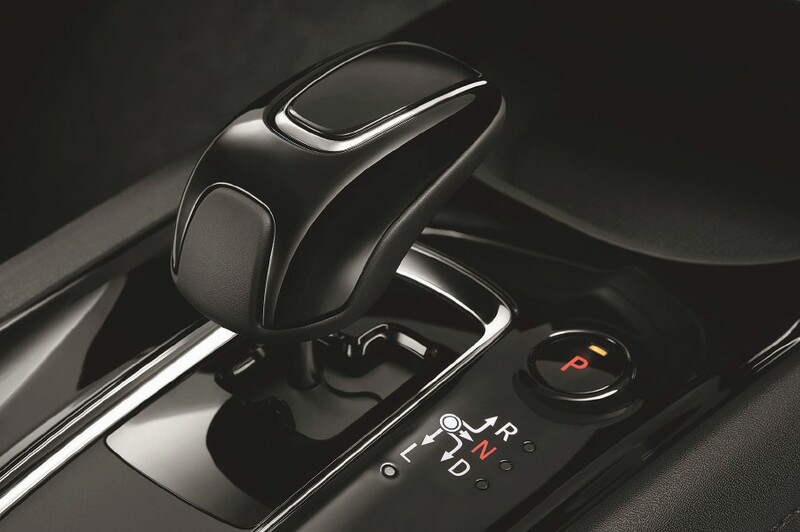 The Shift by Wire Gear lever of the Sport Hybrid i-DCD system. It features an electric servo brake system for energy regeneration and the fully electric driven compressor air-conditioner system. It also comes with 3D illuminated meter cluster multi information display, shift by wire and sport mode. As for the petrol variants, all three variants are running on the 1.8-litre SOHC i-VTEC engine paired with Honda’s Earth Dreams Technology continuous variable transmission (CVT). It features the variable gear ratio (VGR) steering system for a sportier drive. The RS variant is equipped with the 18-inch dual-tone alloy wheels, sportier front grille, black front and back bumpers. Both the V and RS variant comes with 8-way driver powered seat, full leather seats, Honda LaneWatch camera, multi-angle rearview camera, cruise control and paddle shifters. The standard safety features include six airbags, emergency stop signal, vehicle stability assist, hill start assist and ISOFIX child seat mounting points. There are five colour options (depending on variant) — Passion Red Pearl (a new colour in the Honda model line-up), Modern Steel Metallic, Lunar Silver Metallic, Ruse Black Metallic and White Orchid Pearl (there is an additional surcharge of RM300 for this colour). Offered together with the new HR-V are three accessories packages namely Modulo Package at RM5,737, Urban Package at RM1,716 and Utility Package at RM902, with terms and conditions apply. Honda Malaysia continues to offer an eight-year warranty with unlimited mileage for the Hybrid battery. The new HR-V Petrol is priced as follows: RM108,800 for E variant, RM118,800 for V variant and RM124,800 for RS variant, while the New HR-V Sport Hybrid is priced at RM120,800. All prices mentioned above are the on-the-road price, excluding insurance.